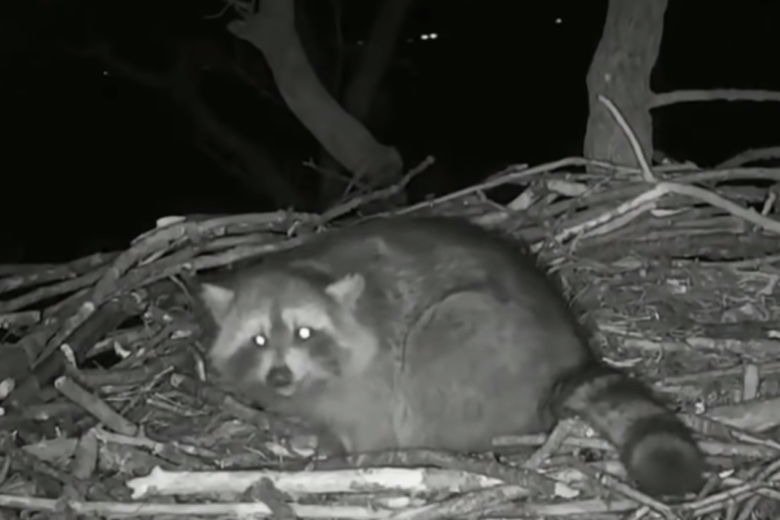 A crafty, striped bandit raided the eagles’ happy home high above the D.C. police academy in Southwest — but don’t rush to vilify the little fella. 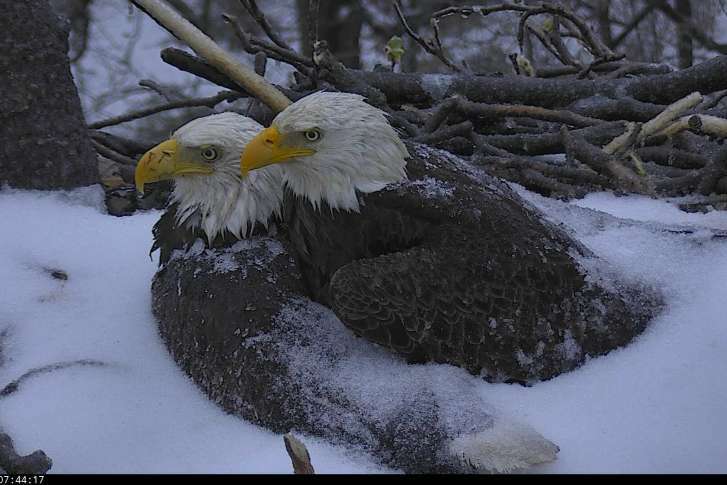 D.C.’s famous bald eagles, Liberty and Justice, are keeping close watch over their eggs in the middle of an extreme wind storm. 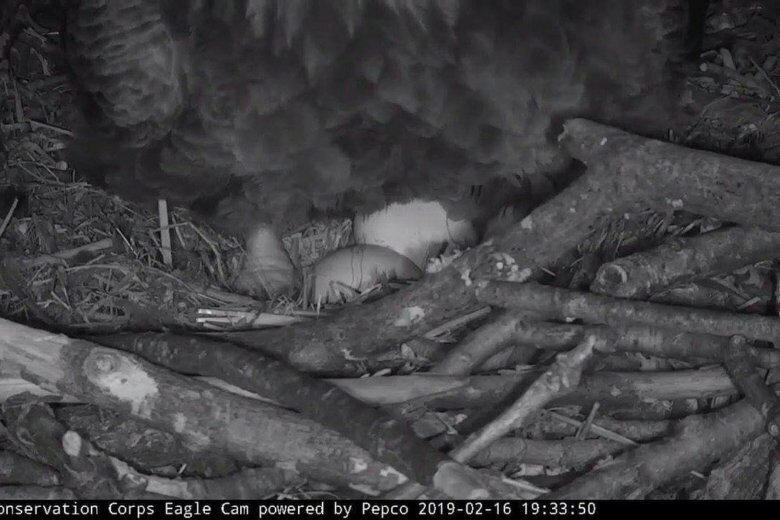 Eagle watchers Wednesday evening caught a glimpse of a freshly laid egg inside the nest where D.C.’s famous bald eagle pair Liberty and Justice have resided for the past 11 years. 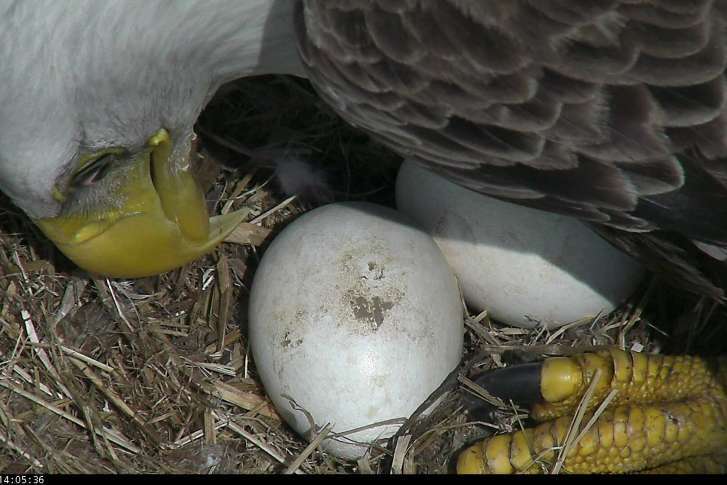 Eagle experts say up to two more eggs are possible. 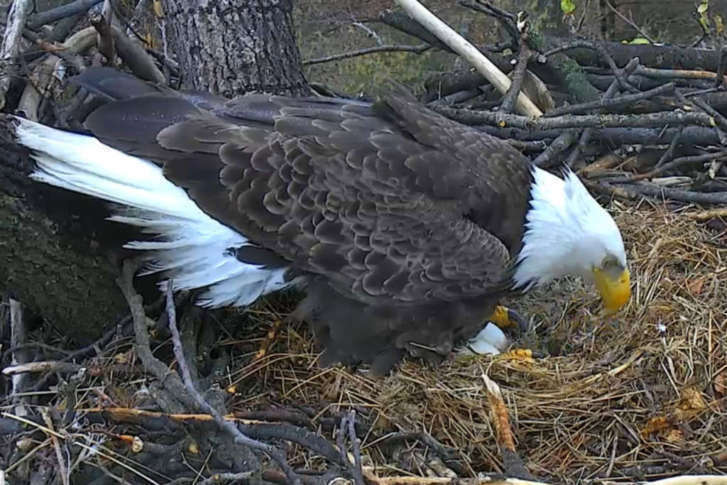 The new year will bring a lot of changes, and the D.C. eagle cam is no exception. 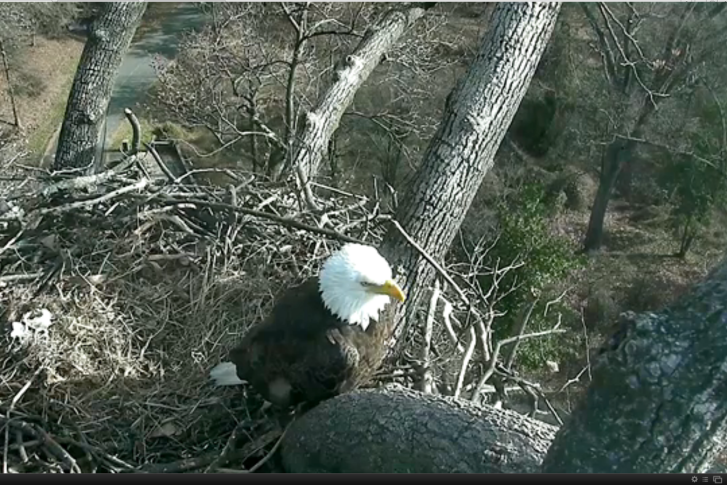 While the camera will be back, there will be changes to improve your eagle viewing experience. 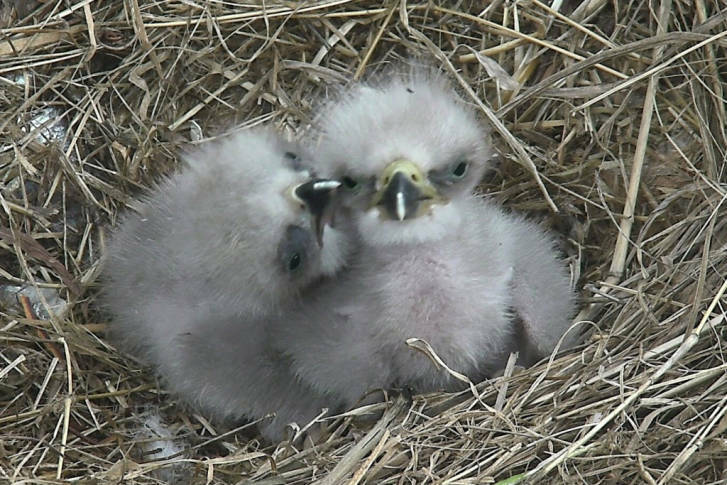 For the second year in a row, there’s a new pair of eaglets in a nest at the National Arboretum, and once again the folks behind the D.C. Eagle Cam are asking the public’s help in giving them proper names. 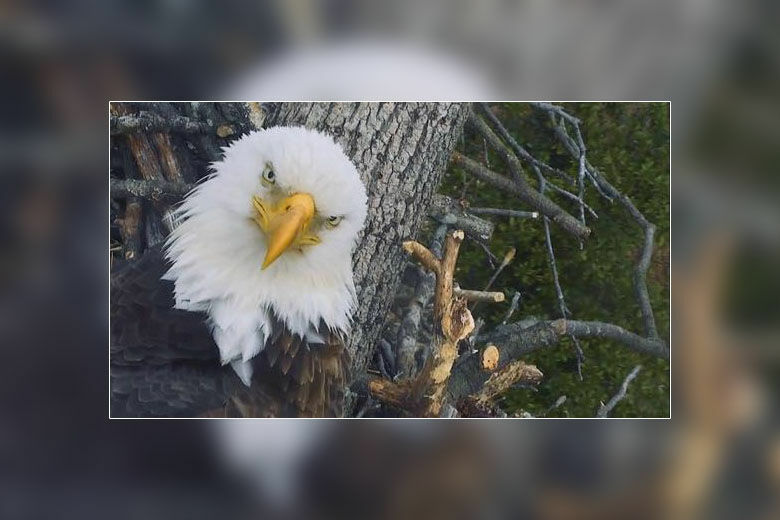 The District’s famous bald eagle couple — “Mr. 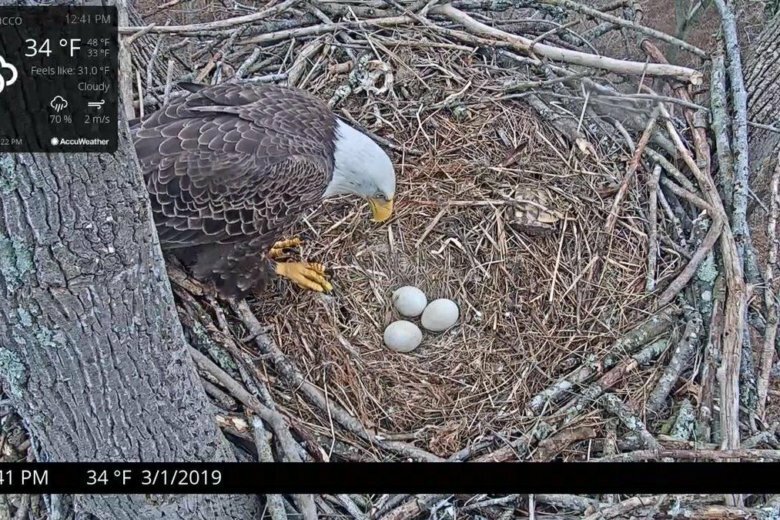 President” and “The First Lady” — are due to welcome two new hatchlings to the world, according to the American Eagle Foundation. 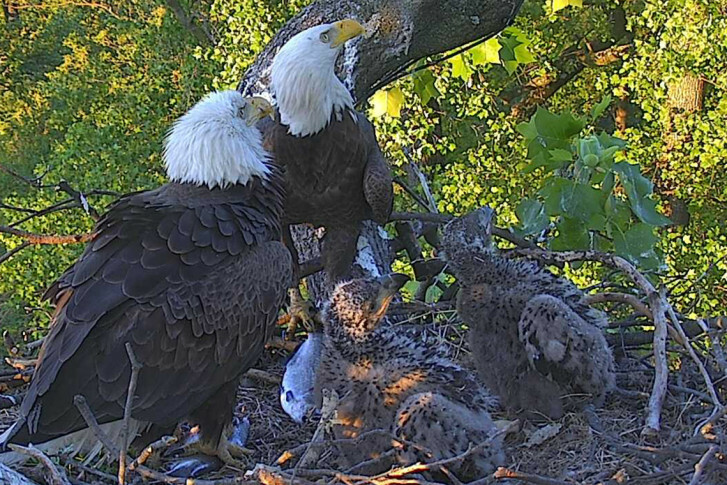 Liberty and Justice, one of D.C.’s three bald eagle couples, welcomed a baby eaglet Wednesday. 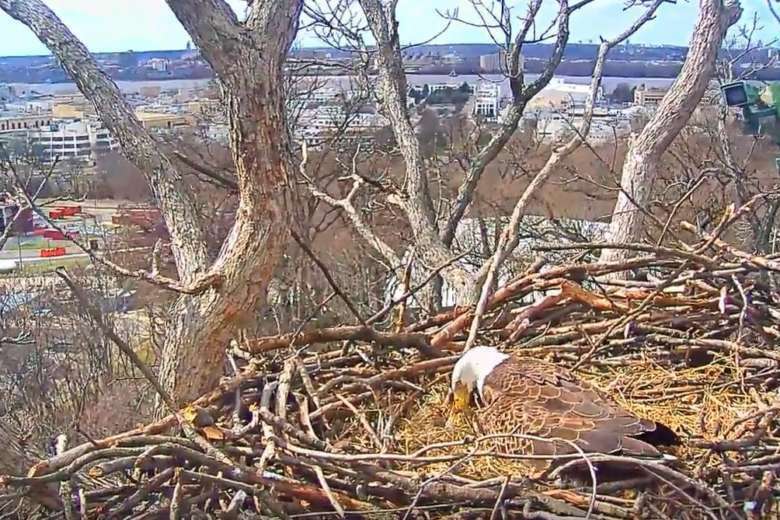 The eagle pair has made its home in a tree near the D.C. police department’s training academy. 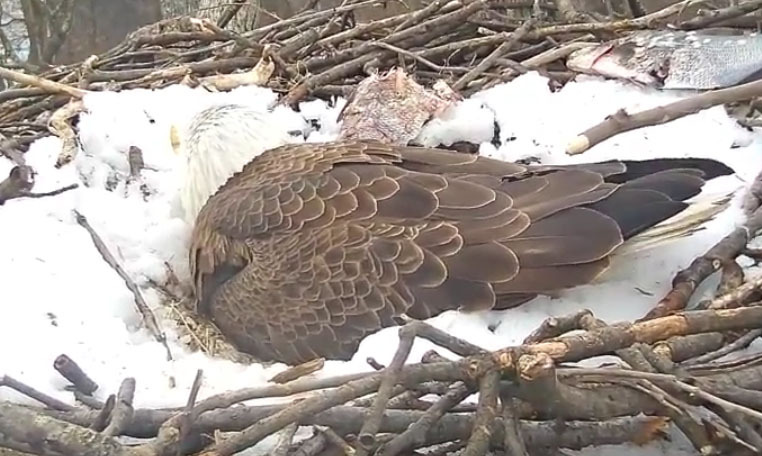 The eagle cam at the U.S. National Arboretum captured a heartwarming scene amid a late-winter storm as Mr. President joined his mate, First Lady, hunkered down over their two eggs to protect them from the sudden onslaught of winter weather. 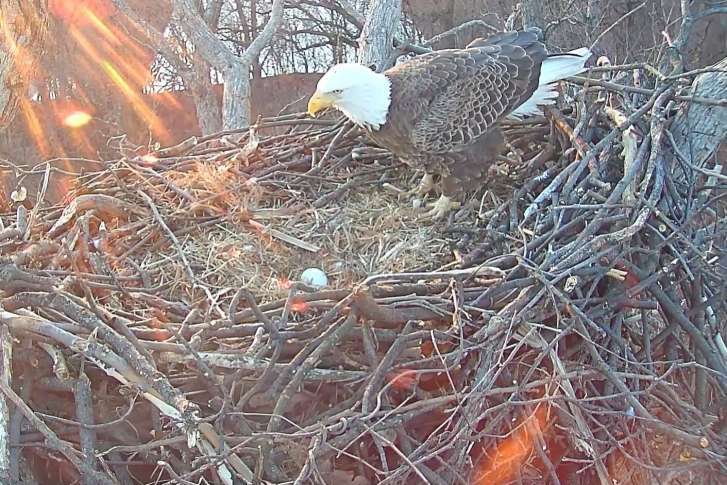 The bald eagles Liberty and Justice — which have made their home in a tree near the D.C. police department‘s training academy in Southeast — have a new egg to watch over. 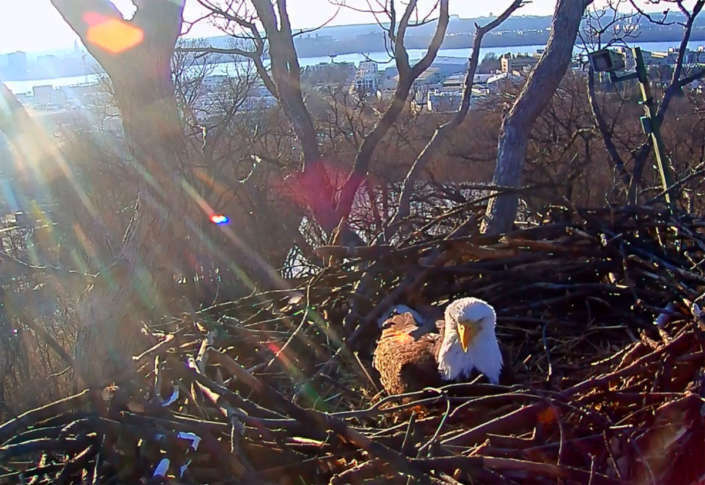 Beginning Jan. 1, the eagle cam returns, offering fans of Mr. President and First Lady a bird’s-eye view of the pair of bald eagles that nest at the National Arboretum. 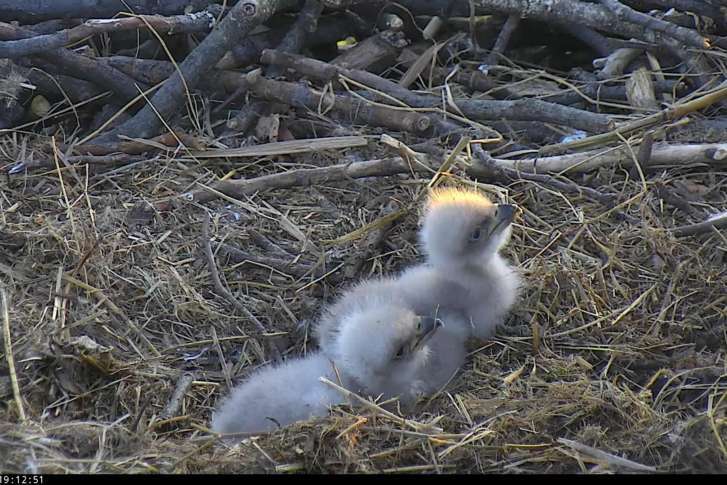 The public has spoken: two Bald Eaglets who hatched in a nest in the National Arboretum in March have names.